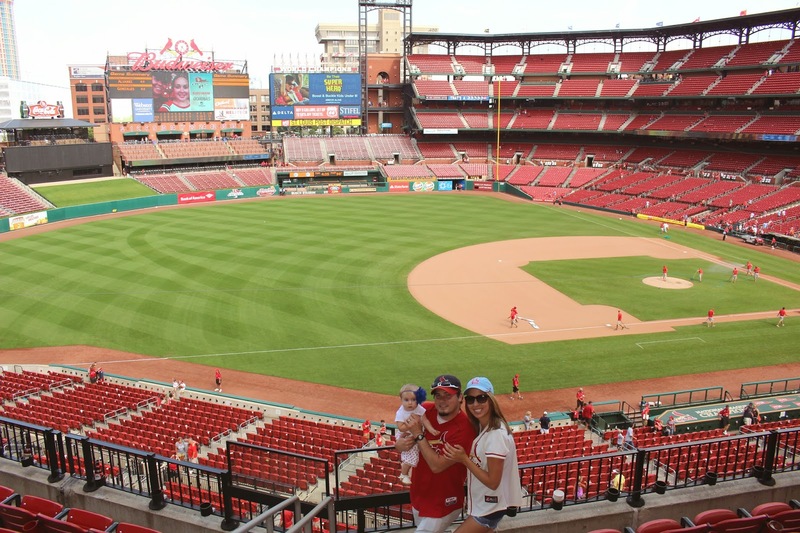 Last weekend, the hubby and I celebrated our two year marriage anniversary by going to a St. Louis Cardinals game. 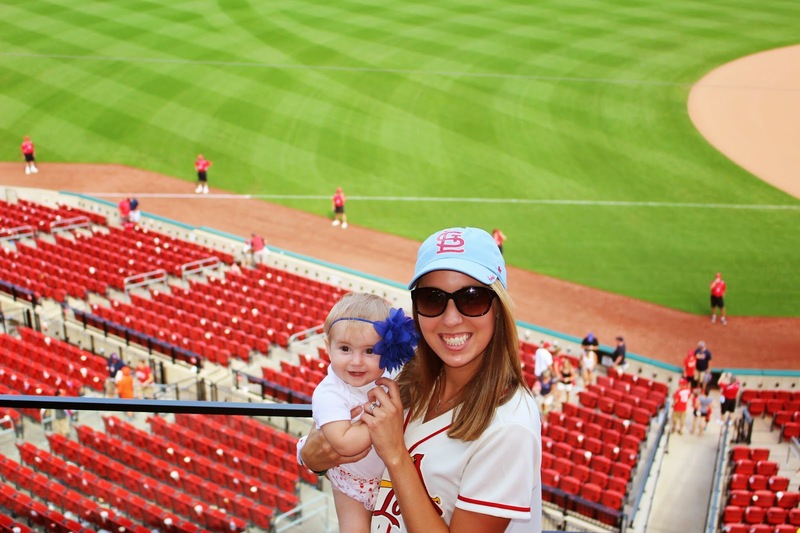 Of course Kennedy had to come along to experience her first baseball game. 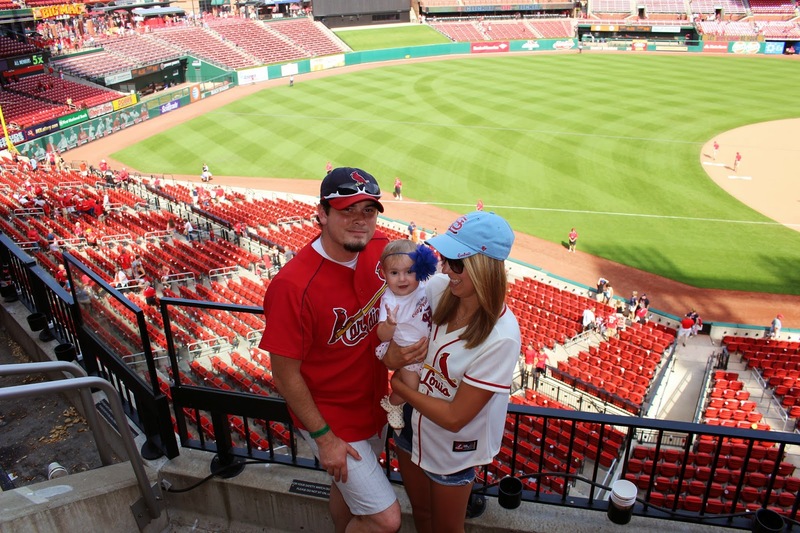 Her daddy and her sit and watch the Cards play almost every night when there is a game and she loves baseball time. We had a blast, even though the redbirds played horribly and we lost. Kennedy especially liked all the cheering and clapping (she sure does love to clap). It was so cute because she would start "talking" very loudly when people were rooting and cheering. I love this girl so much! 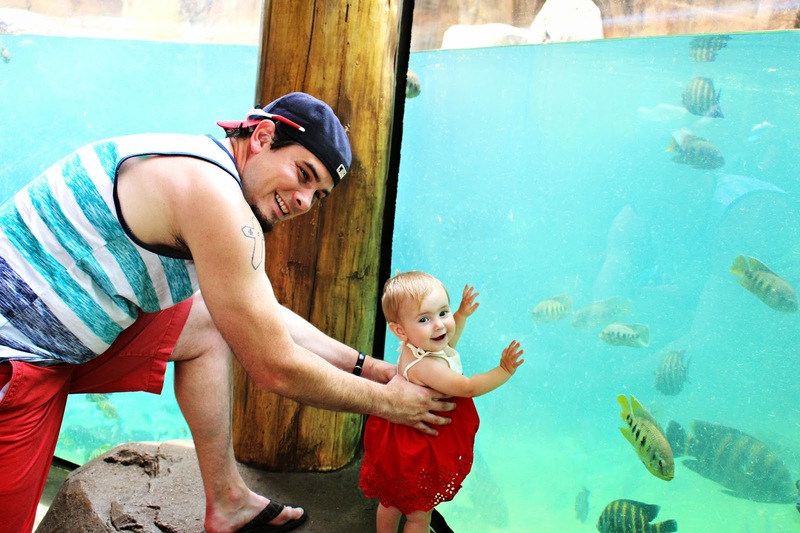 We also took her to the St. Louis Zoo and she especially loved looking at all the fish tanks since she could be right up next to them. 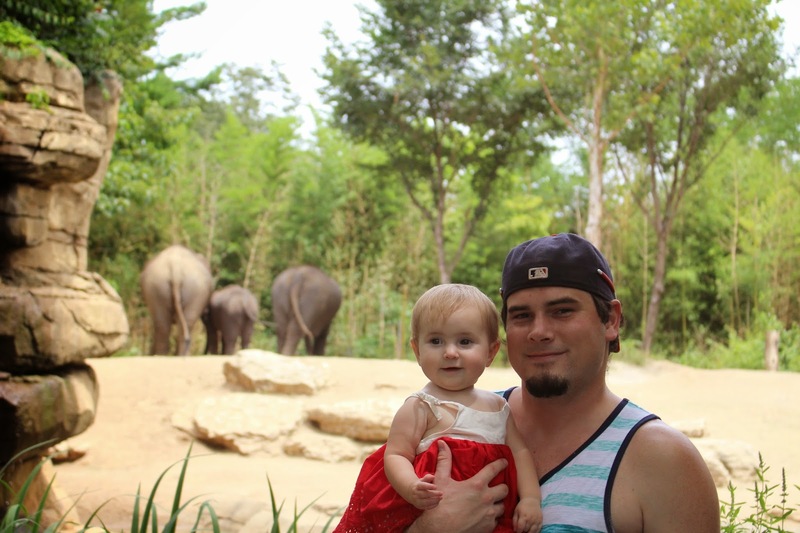 We are heading to North Carolina in a couple days and I can't wait to see how she reacts to the beach! !